Gearbox Publishing together with developer Holospark confirmed they will be launching Earthfall to PlayStation 4 and Xbox One on July 13. 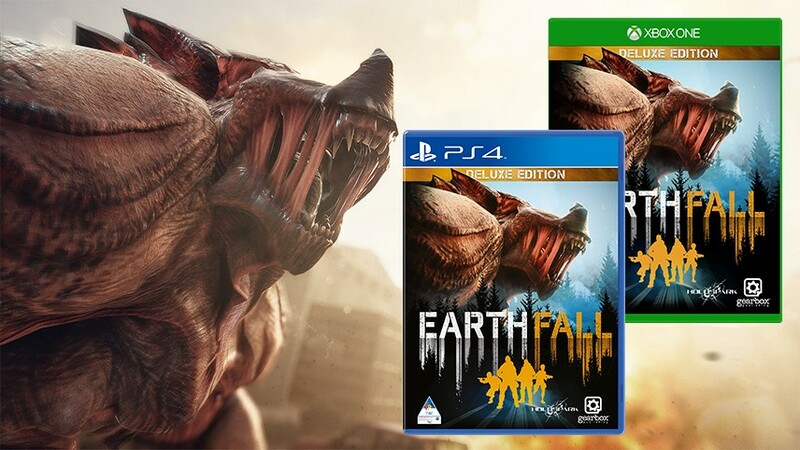 Earthfall features 10 action packed missions and will see you fighting back against an alien invasion in a cooperative shooter that will cater for up to four players. With an arsenal of 3D-printed weaponry, portable barricades and heavy turrets, players must work together to drive back the alien menace. “We are excited to bring Earthfall to PlayStation 4 and Xbox One on July 13. By partnering with Gearbox Publishing on a physical release, we’re thrilled that even more fans will be able to get their hands on Earthfall on launch day,” said Russell Williams, CEO of Holospark. Earthfall Deluxe Edition will be available for PS4 and XB1 on July 13th, 2018!